Just a few hours are left until the United States Mint stops selling all 2018 commemorative coins. Collectors have until Dec. 27 at 11:59 PM ET to place orders. A CoinNews photo of two 2018-W $5 Breast Cancer Awareness Gold Coins (proof and uncirculated, obverses). They are the first U.S. Mint coins to feature a pink hue. 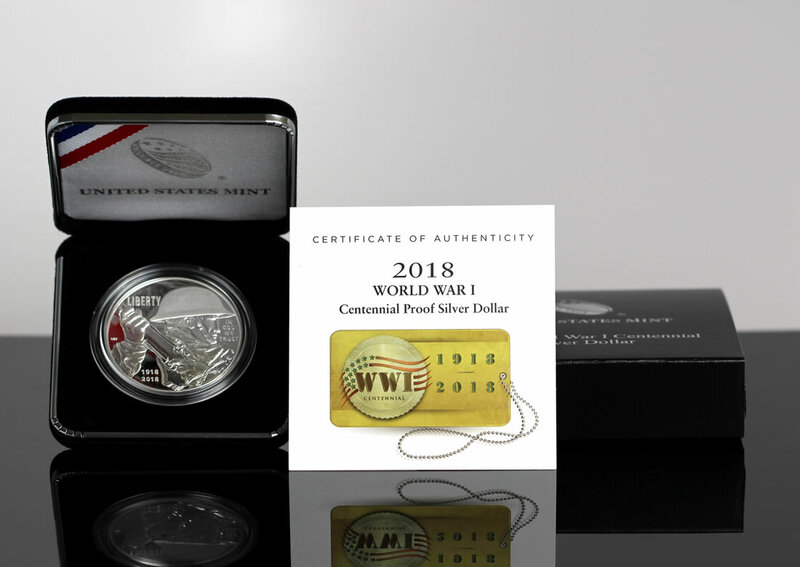 Authorized by Congress with mandated sales deadlines, this year’s two commemorative coin programs advance Breast Cancer Awareness and celebrate the centennial of America’s involvement in World War I. 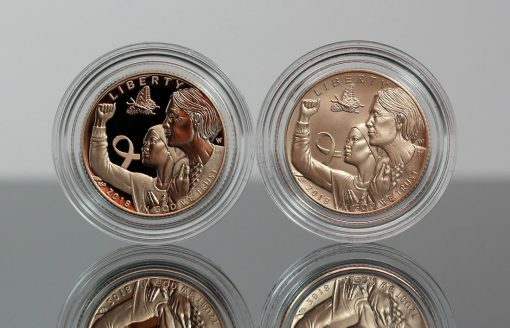 Available products include $5 gold coins, silver dollars, 50c clad coins and a coin and stamp set. 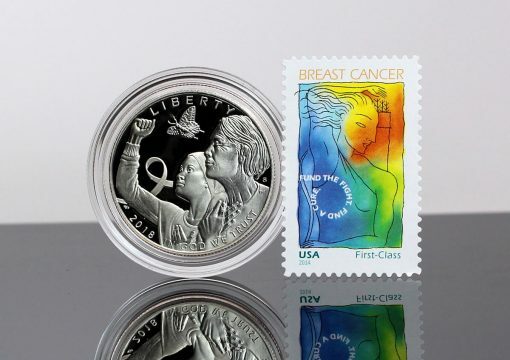 A CoinNews photo of a 2018-S 50c Proof Breast Cancer Awareness Commemorative Coin and a Breast Cancer Research Forever® Stamp. The coin and stamp are included in the U.S. Mint’s Breast Cancer Awareness Coin and Stamp Set. 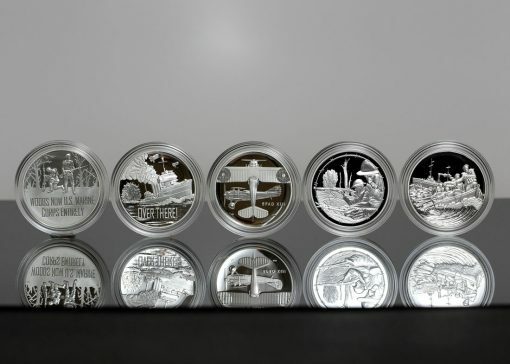 The U.S. Mint also issued Army, Navy, Air Service, Marines, and Coast Guard silver medals in support of the WWI Centennial Silver Dollar Program. Those, however, are no longer available. The last chance commemorative products, their prices and their latest sales are shown in the two tables below. 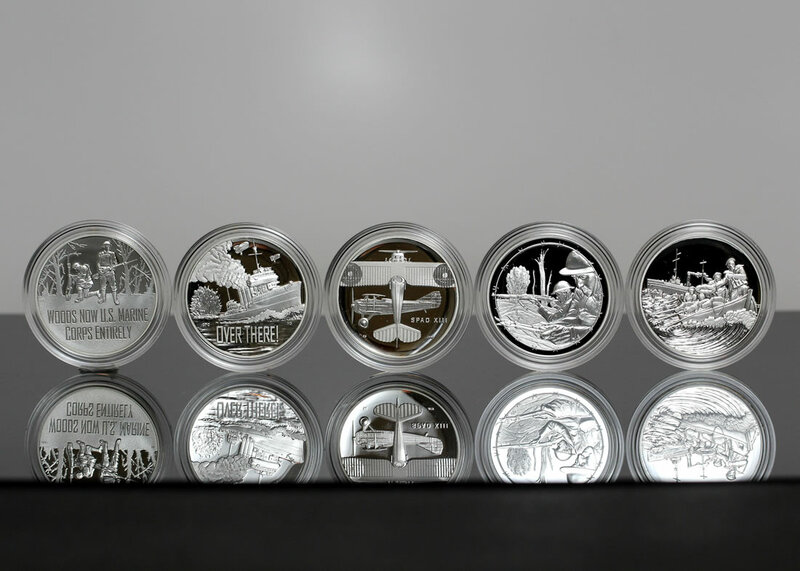 The U.S. Mint has a dedicated landing page for its commemorative products right here. Call in orders using 1-800-USA-MINT (872-6468). I agree. I’m actually excited that these products are finally going off sale. It’s like taking them out behind the barn and putting them out of their misery. By the way, why are the medals continually being showcased? It’s very late in the game to try to promote the companion medals for the WWI dollars, especially when they are no longer available. Additionally, who exactly were they marketing the “Pink gold” coins too? If the BC awareness coins were truly meant to bring awareness the BC, then there would have had a man on the coin also. I wonder what the men with breast cancer thought of this coin? Was any money going to go to men’s breast cancer research also? The mint would have fared better for the cause if they had made a “Pink gold” Eagle coin instead. Breast cancer in men is a rare disease. Less than 1% of all breast cancers occur in men. In 2018, about 2,550 men are expected to be diagnosed with the disease. For men, the lifetime risk of being diagnosed with breast cancer is about 1 in 1,000. I suspect that it is missed more often than in women, so on that basis more publicity would be a good thing. As for the medals and the pink coins (incidentally, with 1/6th less gold than usual)…I don’t know, anything to generate sales. I’ve long thought that the Mint should have far, far less products. But then they’re largely marketing to the public, not collectors, and don’t seem to get it that more stuff will equal less interest. It’s a bit like the airlines and their lousy service–volume over quality.